Fifty million people in the US suffer from some form of arthritis. The two most common types are Osteoarthritis (OA) and Rheumatoid Arthritis (RA). Both cause joint pain, stiffness, and swelling; however, proper treatment requires an accurate diagnosis that differentiates between these two very different diseases. OA is more common, affecting 27 million people in the US. RA afflicts 1.3 million people in the US. OA affects men and women equally, though men tend to develop it at a younger age. RA affects three times as many women as men. OA is caused by wear and tear of the joints, and is associated with age. RA is an autoimmune disease in which the body’s immune system attacks joint tissue. RA can occur at any age, though it most commonly appears in middle age. OA causes stiffness, pain, and a decrease in the range of motion in the joints. 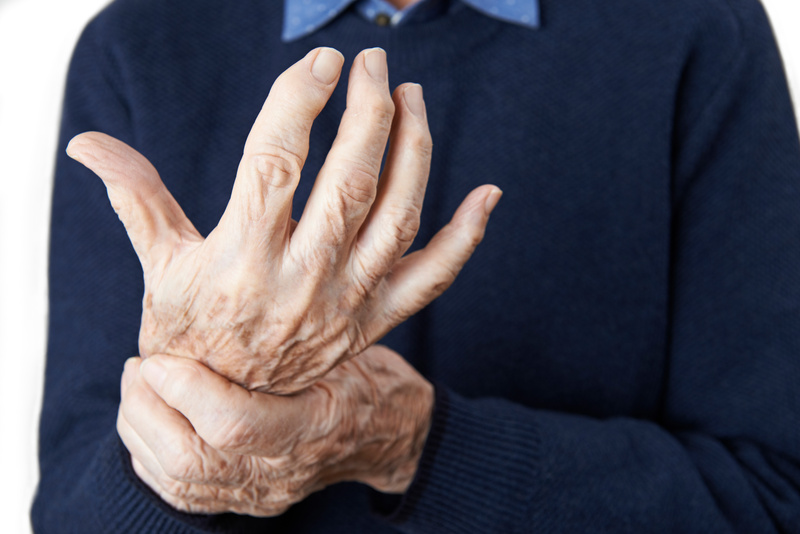 RA, similarly, causes stiffness, joint pain, and decreased range of motion, but symptoms can also include warmth, swelling, and redness around the affected joints. In addition, RA produces generalized symptoms, such as fatigue and low-grade fever. OA usually affects weight-bearing joints, such as the knee and hip. It also strikes the joints in the hands, the neck, and the back. OA can occur in just one joint: for example, just one finger on one hand. RA causes “symmetric” symptoms in sets of joints: for example, both hands or both knees. RA is usually worse in the morning, or after any long period of inactivity. OA does not usually alter the appearance of the affected joints. RA often leads to joint deformity. OA typically affects only the joints. RA is associated with an increased risk of other diseases, such as heart disease and anemia. OA is generally treated with nonsteroidal anti-inflammatory drugs (NSAIDs) and painkillers. RA requires aggressive treatment to minimize symptoms and stop the autoimmune response. Both OA and RA can be managed with physical and occupational therapy, and therapeutic life changes, including weight management. Atlantic Coast Rehabilitation and Healthcare Center, in Lakewood, New Jersey, takes a restorative approach to both types of arthritis, maximizing function and mobility in a positive and upbeat atmosphere.